When it comes to knowing concealed carry law when traveling to or through other states, its up to the responsible gun-carrying citizen to know and understand how his resident CCW permit applies to all state statutes. 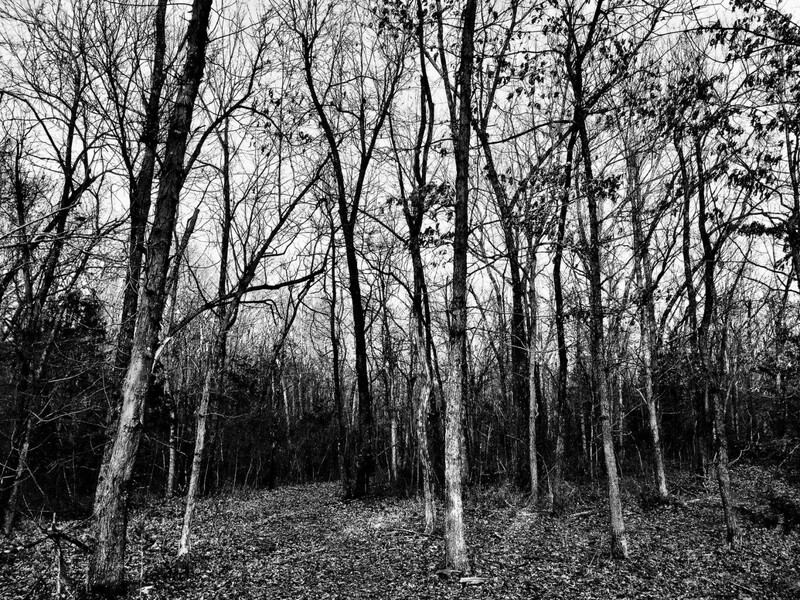 There are several resources on the Web that can provide you with all of the information you need. However, it can be very cumbersome to search for what you need with a web browser on a mobile device. A mobile app that can summarize all pertinent information would be a great tool for anyone needing to legally transport firearms through any state. Fortunately, there are mobile apps that do a great job to do just that! We will be looking at two of these apps today. Both of these apps do a good job of providing state firearm laws. 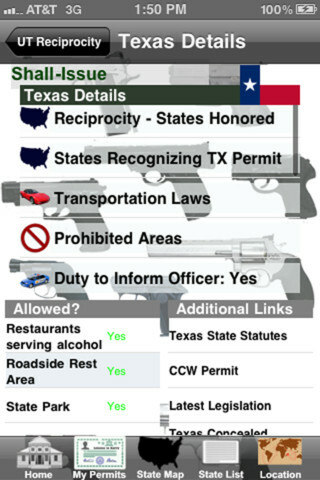 Both apps provide basic information derived from state statues regarding prohibited areas, reciprocity, open carry information, and links to state resources. Of course both apps have a different approach in how you access this information. In addition, these apps both have unique features and information that the other doesn’t provide which will be outlined in more detail below. Both apps support the iOS and Android mobile environments and as of 3/31/13, they are both priced at $0.99 on Apples’ App Store. The Android version of CCW is $1.49 while the Legal Heat version is $0.99. Both apps were reviewed on iOS devices. I first downloaded the app on my iPad as this app was advertised to support both iPhone and iPad. Visually, I am disappointed in the overall design and layout as it looks like a first generation (mid-90’s) web page with a white background, ugly buttons, and a bunch of boxed up elements organized down the left side of the screen. When the app is launched it provides a means to add background pictures to the design by means of a toggle switch, but I can’t honestly say that it improves anything at all. In fact, I have to say that the background pictures switch definitely needs to stay in the off position. When I access certain features that require access to the GPS, the app just sits and spins. To be fair, I’m running the app on a 1st gen iPad without the wireless option. I next opened the app up on the iPhone, thinking that the author more than likely meant for this app to be run on the smaller screen format. Unfortunately, the design remains essentially the same. Location finder for local shooting ranges, gun stores, repair, and training. Cons: Cluttered interface, poor design makes it difficult to read and find content. On a scale of 1 to 5 with 1 being poor and 5 being awesome, I’d give this app a solid 3. The layout and design of this app is vastly superior to CCW. The interface is very intuitive and non- cluttered. CCW offers three ways to drill down to any state of interest through GPS location finder, a US map, or a scrolling list. With Legal Heat, you’re presented immediately with a dial that spins through all of the states. Listed beside each state is a useful 5-point scale that rates how friendly the state is towards CCW. 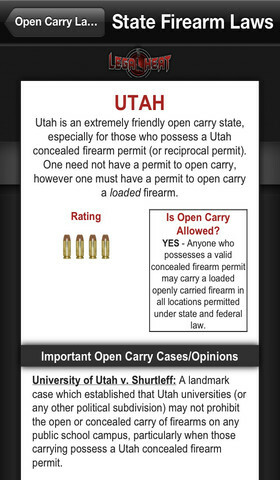 The app has a similar dial that lists states and their rating scale regarding open carry. Once a state is selected, it a simple matter of touching a button to read all of the pertinent state laws formatted and organized for easy reading. From an overall content perspective, Legal Heat has the common information concerning state statues regarding prohibited areas, reciprocity, open carry information, and links to state resources. In addition and unique only to this app, Legal Heat has a 15-part section that covers transport rules (including an embedded video section). This information is not state-specific as compared to what the CCW app offers but is more comprehensive on overall transport rules based on federal statutes. And as mentioned earlier, Legal Heat also has information regarding open carry for every state and municipality. Pros: Covers the basic essential information in a clean professional design. Written and updated by attorneys. Cons: Doesn’t seem to have as much information as compared to the CCW app. No state-specific transportation laws, signage laws, duty to inform officer, etc. On a scale of 1 to 5 with 1 being poor and 5 being awesome, I’d give this app a 4. Although it doesn’t seem to have the same amount of state-specific information as it’s competition, this app still provides the essential information needed. But overall, it’s clean professional design makes this the app to choose of you’re only going to buy one. Recommendation: However, at $0.99 (or $1.49 for Android), I would also recommend that you go ahead and purchase the CCW app as well. With both products in your mobile app arsenal, your handheld device will be a comprehensive resource for the most important and up-to-date concealed carry information.